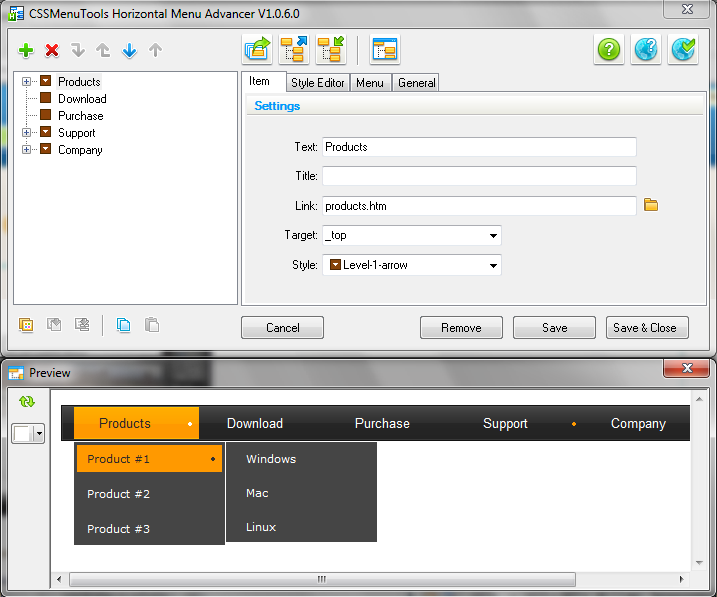 You can use great templates from our library or can quickly make fully custom menu. Horizontal Menu Advancer gives you full control over every aspect of your CSS menus. Extended color control allows you quickly customize your menu palette. Integrated Search Engine Optimization management system gives you power to improve page rank and generate spider-friendly pages. Easy-to-use hierarchical horizontal navigation menu. Qweas is providing links to Horizontal Menu Advancer for Dreamweaver 2.0.2.2 as a courtesy, and makes no representations regarding Horizontal Menu Advancer for Dreamweaver or any other applications or any information related thereto. Any questions, complaints or claims regarding this application Horizontal Menu Advancer for Dreamweaver 2.0.2.2 must be directed to the appropriate software vendor. You may click the publisher link of Horizontal Menu Advancer for Dreamweaver on the top of this page to get more details about the vendor.